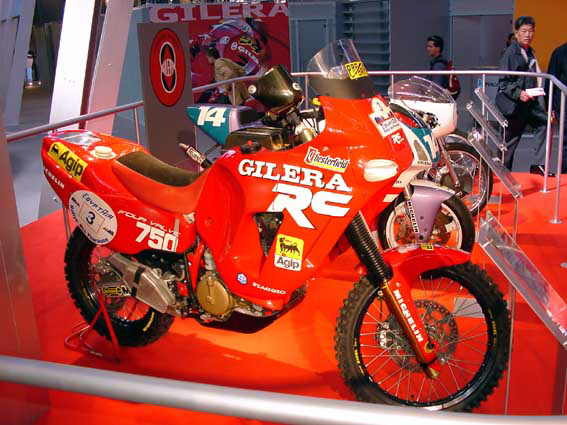 That the Gilera RC 600 It was a good bike Nobody doubted. 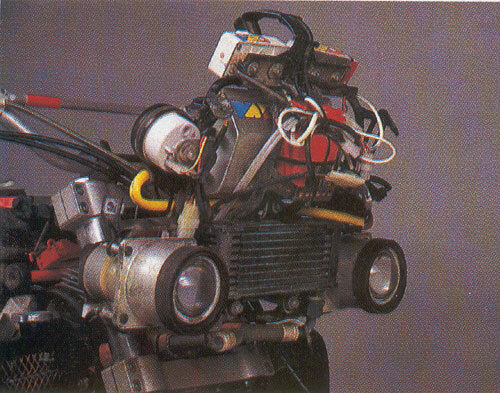 The victory in the previous edition and eighth place overall (only sophisticated prototypes in front of him), constituted an excellent calling card for the Thumper Arcore. 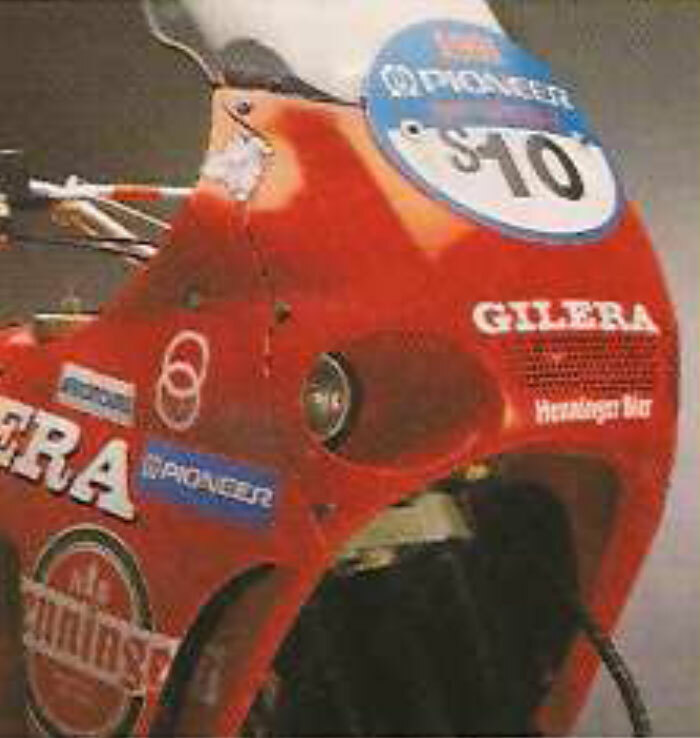 The Gilera and Medardo have gone beyond expectations with a performance very similar to that of the prototypes. 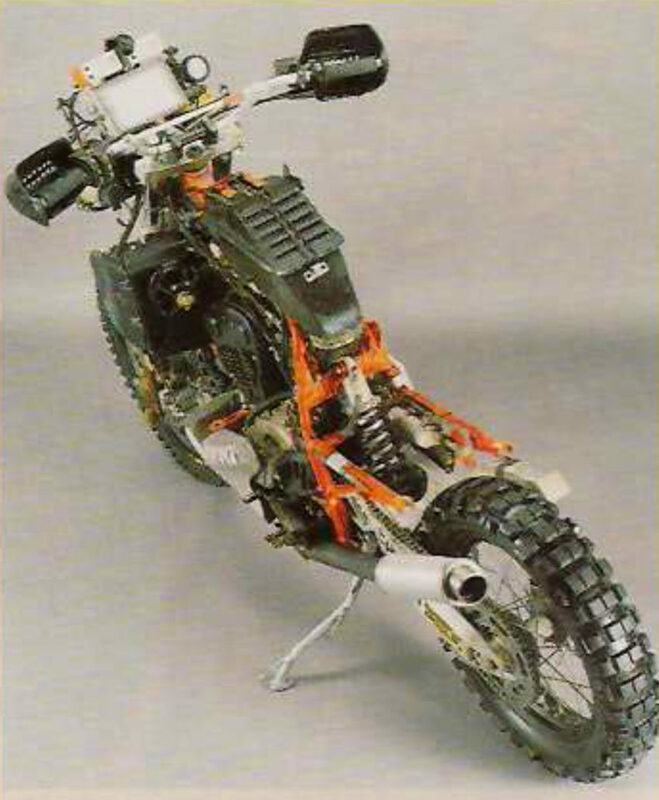 With only 560 cubic centimetres, the RC has been successful on many occasions to keep keep strong rhythm imposed by two cylinders and Medardo has also won the stage of 5 January from Tumu Ghat, the “Special” longer than the Paris-Dakar. Not all was well for Gilera: tears of the rear tank fuel overflow and poorly secured, broken starter post on the bike Mandelli who requested the change of engine (automatic change of category) and an experimental power that made a tantrum when starting engines, Apart from a shock absorber destroyed by Medardo. The Gilera are satisfied also because they feel that the Dakar is a great help for series production. Ing. Maden, Technical Manager, is absolutely convinced of the validity of the formula Silhouette of Dakar. The fact that pushed us to compete in the marathon in Africa and particularly in this category, is the specific regulation. 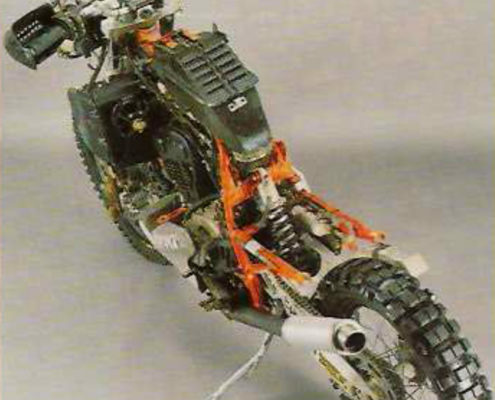 Run the entire Dakar without changing engine and chassis is a highly reliable message to the audience. 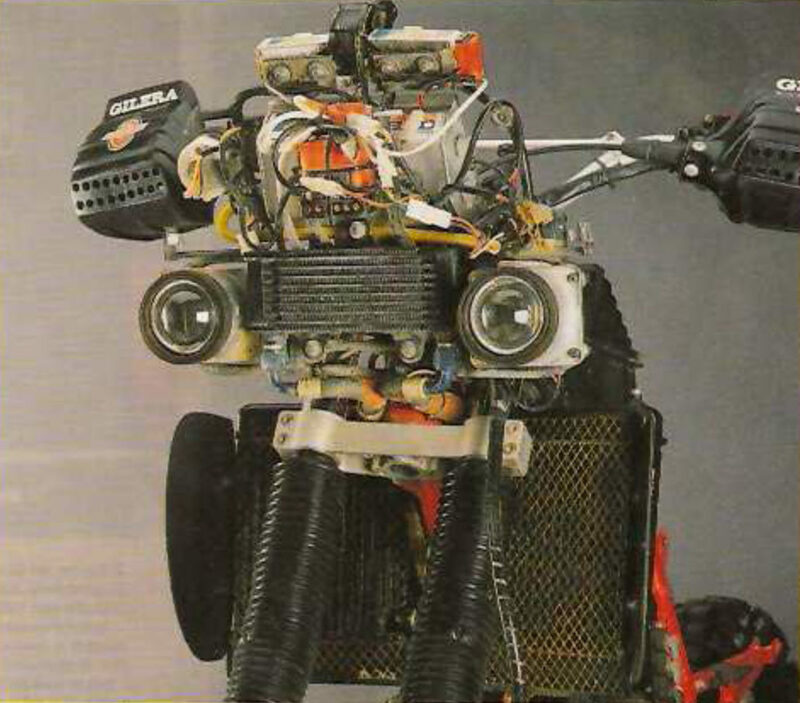 An engine that can withstand more than 10,000 kilometers of continuous torture without problems, is a guarantee for a series. 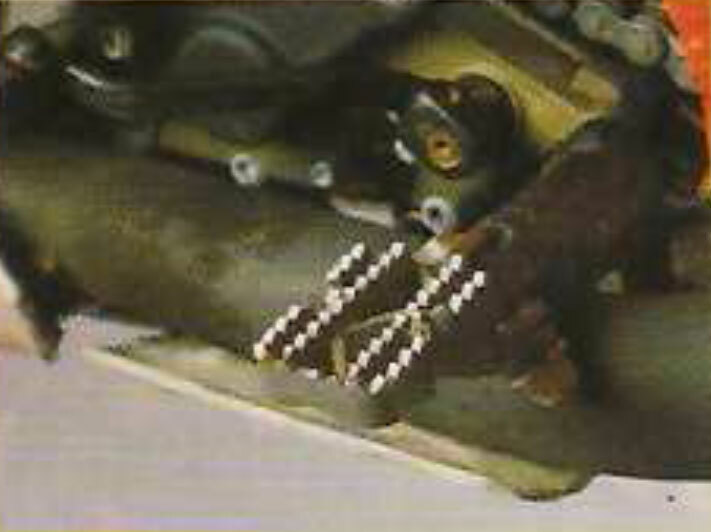 In category Silhouette engine and chassis are standard while the rest can be changed. To improve cooling we used larger radiators with upper heat exchange 30%. 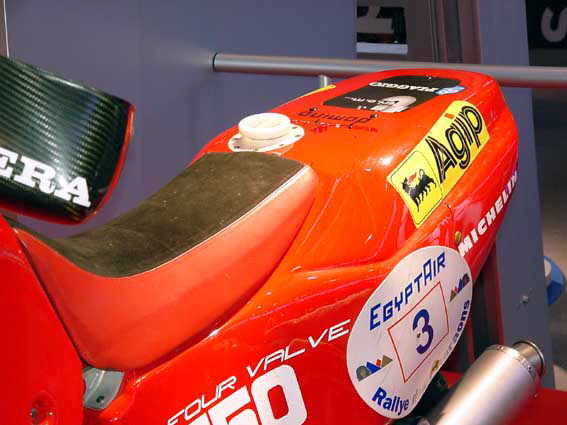 The control unit until halfway through the race was different from that fitted to the RC 600; an ignition that gave very few advantages in terms of power but that was useful to decrease harmful emissions. 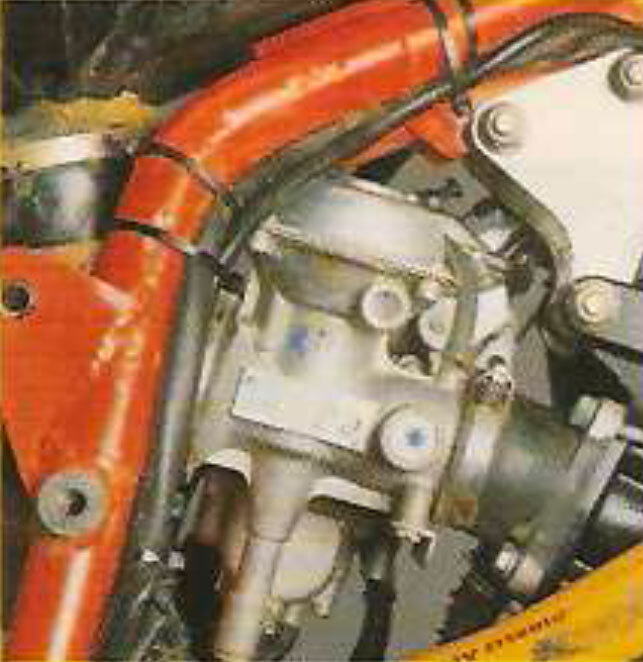 Sounds strange to mount a similar trigger without essentially cut out some advantages but also this choice is made in anticipation of using the RC standard if ignition resists Dakar means that will fit into any other conditions. We replaced by half-way onwards once reliability data. Electrical problems have come from an incorrect choice of batteries and an electrical system that during the tests was perfect, While in Africa it was not such a. This particular unit determines the ignition timing according to the speed and diversity of pressure within intake pipes. 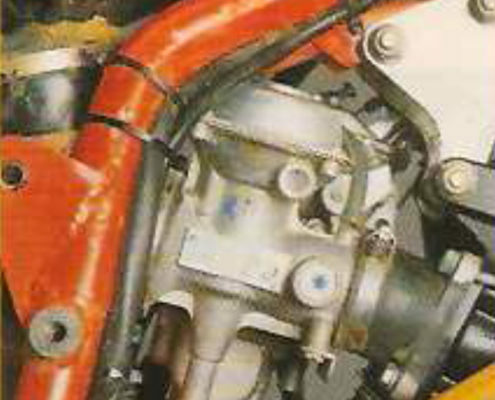 downstream vacuum carburetor throttle. 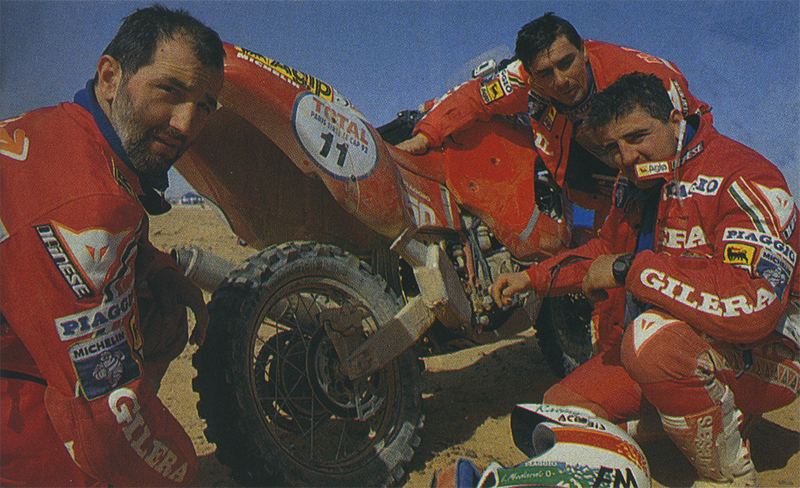 — Where you changed the bike than the previous Dakar? Last year's race had given us important information: We were in place as engine and chassis, While the handling had to be improved. Since we were unsure in terms of engine reliability, We went to increase performance. We resumed the changes introduced on the RC series propeller 91. New camshafts more motivated, revised piston design, oversized valves and larger diameter Carburetors (30 mm). 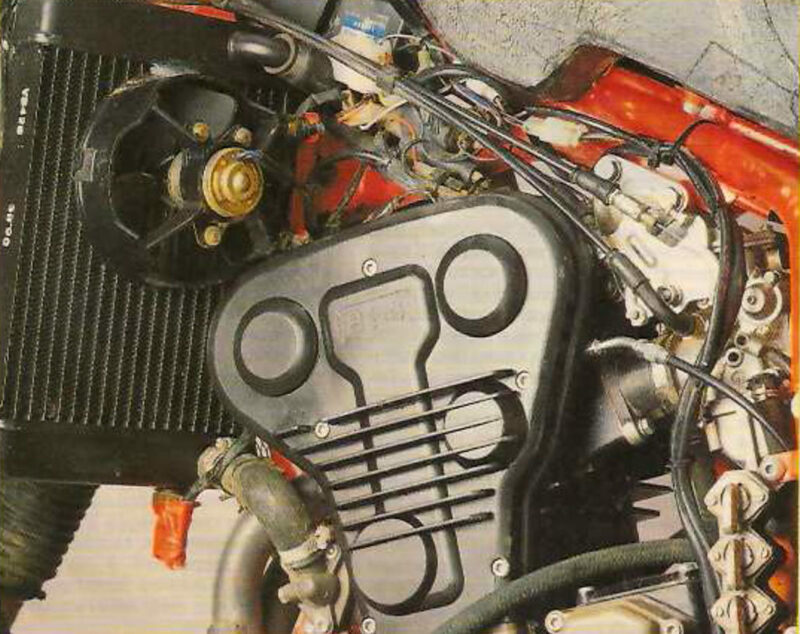 We work a lot on intake and exhaust systems rato to extract from the engine to its full potential. Despite the compression ratio was lowered to use low-octane gasoline, We found seven horses more than the previous motion. Now we are about sixty horses to the tree with a consumption that varies greatly according to the conditions of the competition site. They range from a maximum of 6,5 liters on soft sand up to 9 the hard ground. Does not consume little, It's true! 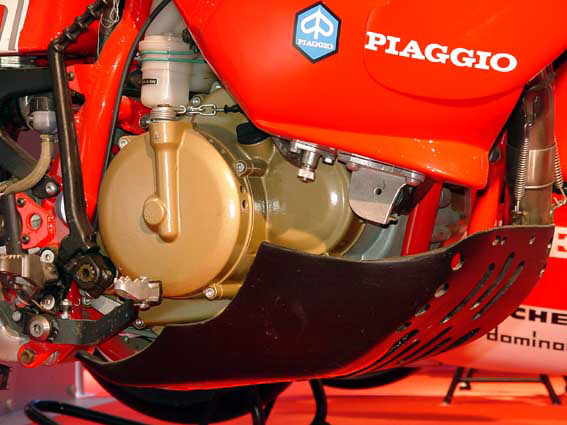 A single cylinder must always be squeezed at most to stay close to the performance of two cylinders and then throttle always wide open; extreme conditions also for consumption. In total, the fuel capacity was increased to almost 60 litres, ten less two cylinders. Not a great advantage. 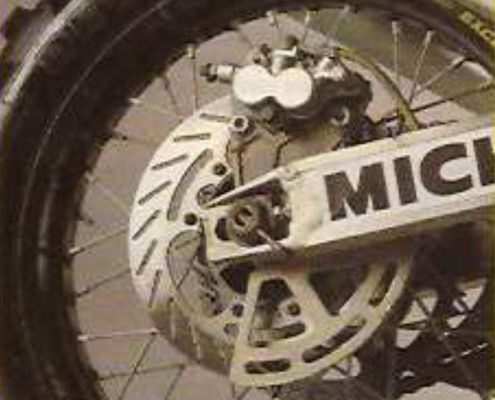 Is a little’ the legend say that mono is easier and lighter of the two cylinders. The weight difference is a maximum of ten pounds in favor of mono and so it's not outstanding. 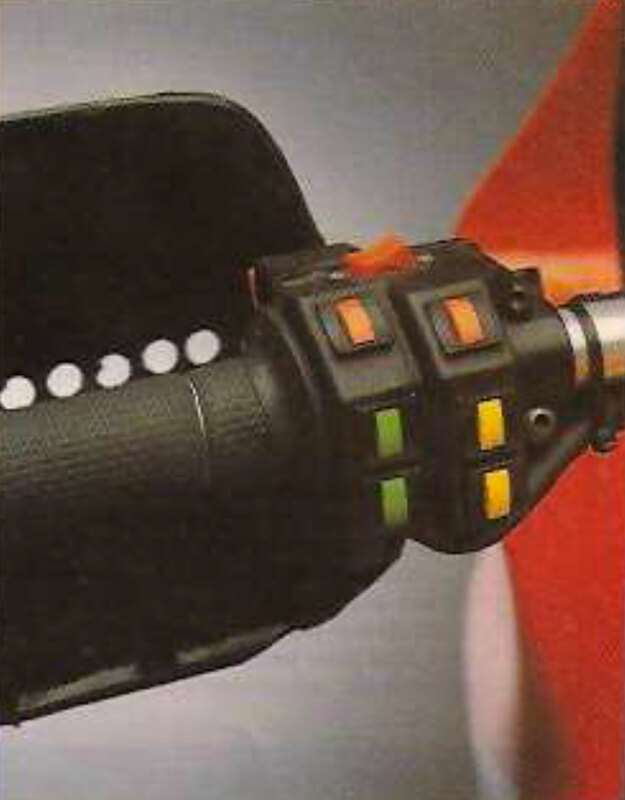 To improve handling and ease of driving we revised weight distribution and placement of fuel tanks. The suspension is new, the Kayaba Japanese, also mounted on the RC-series. The shock is just what standards changed only three internal lamellas to match the increased weight of the bike dakariana, to ease that we used some lightweight material” but nothing special. Kevlar and carbon fabrics for the cowl – rear tank and to the fairing, titanium for engine and rear suspension hardware platforms. For the hubs machined from “full ". 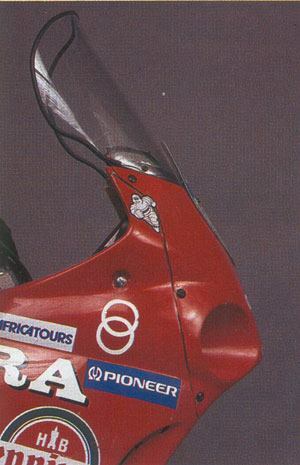 We also broke, and even this drawback we expected, the forward beam where you fix the engine. 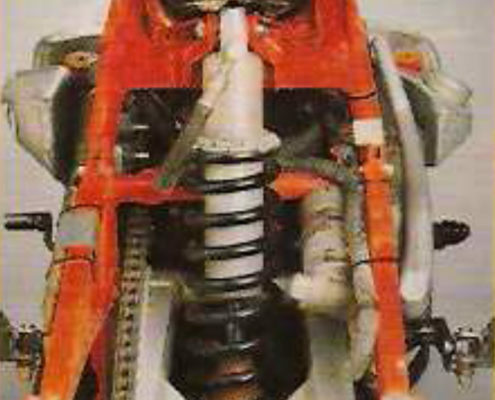 Between expected and now we solved, because to increase ground clearance we removed the retaining frame which passes under the engine. In this way the engine actually works as element stressed lifting quoting frame. 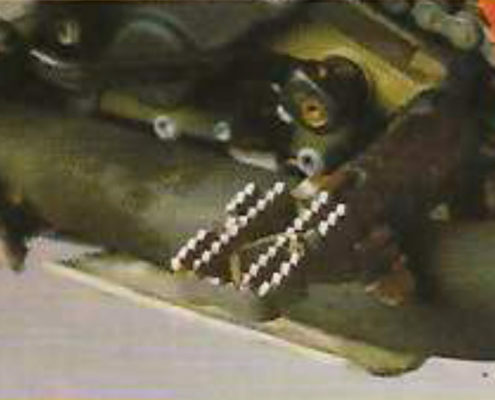 That is why we have strengthened the bolts of the engine by increasing-the diameter up to 10 mm, attack fins simultaneously beefing up on engine. We broke more rods and crankcase, meat instead happened last year; by contrast has almond wafer with a small crack in the frame. This made us realize that the engine can work as an element of stress and probably will use the same solution even in series, Front chassis beam and properly structuring that is another effective information appearing on the series production. More tears were those of posterior composite tanks. They were all new parts, ended up at practice the day before leaving the tanks have had mechanical problems. 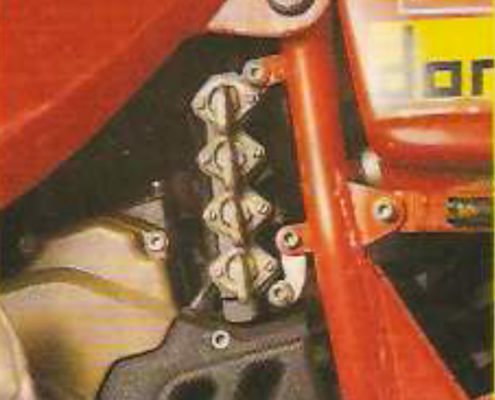 The rear suspension dabbed a little’ Too much, so as to touch the disc brake caliper with the inside of the tanks. 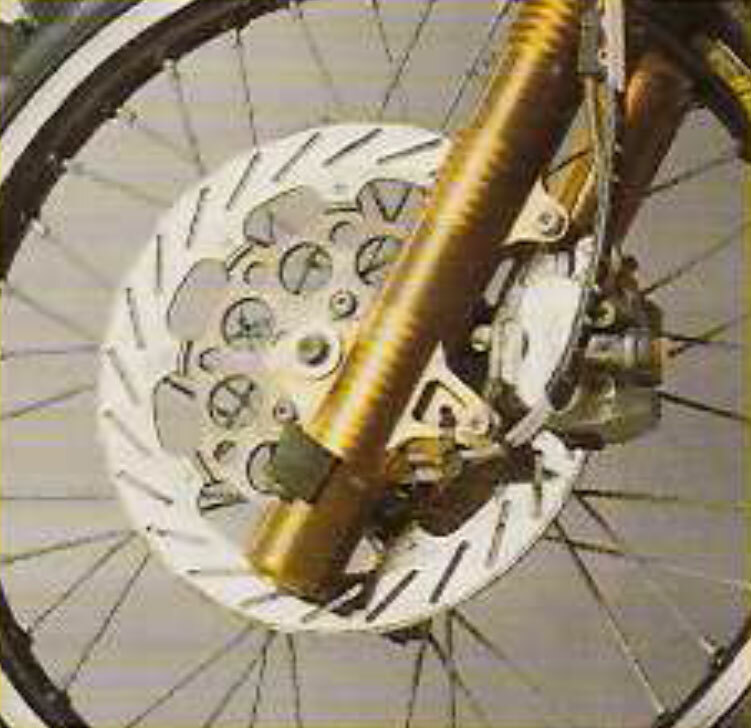 In the design phase we predicted a game 20 mm between the clamp and tank at full travel of the rear wheel. In bolder touched caliper infill; with inevitable breakups. 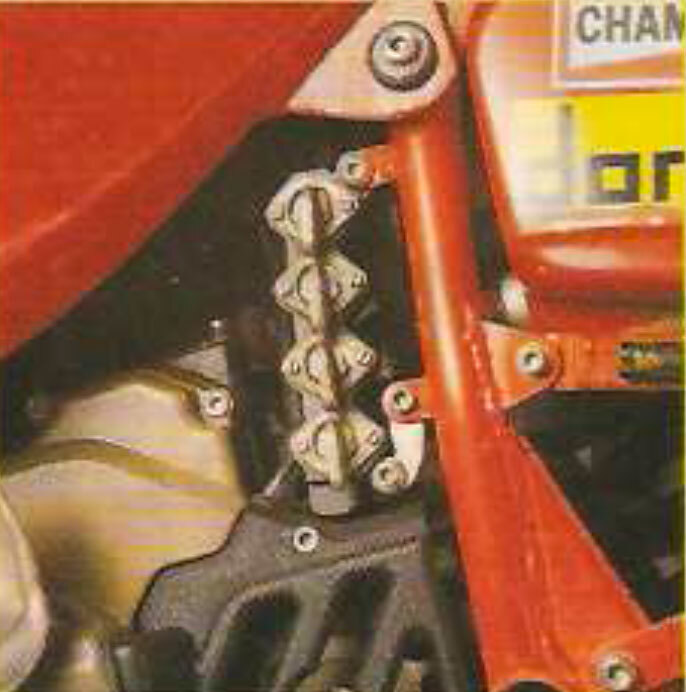 This means that both the swingarm is the retaining frame that sustains them yielded, sagged slightly. Modified suspension settings, the problem is gone. 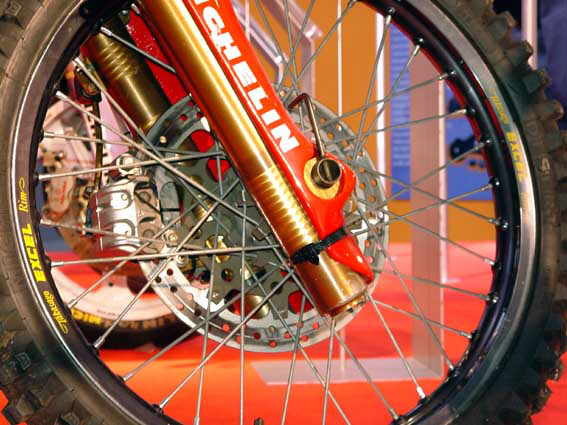 Conversely decreased comfort of riders and motorbikes squirted a little’ too much on holes. Your bike aesthetically was the most reused. among all those who have raced, and maybe even more aerodynamic. "We treated very aesthetics but also the protectiveness of the pilot. We left date filter box dimensions, and we built around the whole bike. We tried to protect the pilot to give him greater comfort. Less tired, stronger you go and commit fewer mistakes. The bike had to be the smallest possible depending on the size of the pilot. The height of the windshield and the de: plexiglass has had the sole purpose of protecting air pressure the pilot We instead chose the headlights omofocali to lower the whole area of the dashboard and Instrumentation, and ensure greater visibility. Also these headlights made even better brightness and then more security to those who remained at night in the desert. 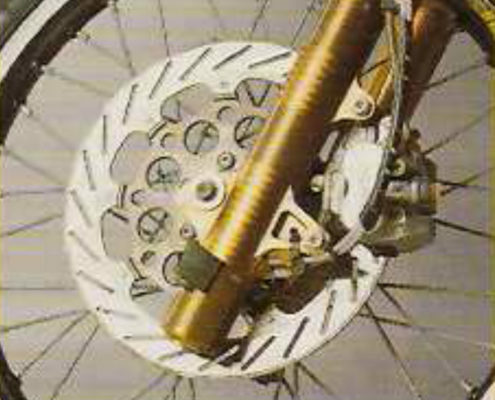 The latter form is due to the tradeoff between greater capacity as possible and require less space for the rider's legs. In codon had set the compass, and a back up battery. The shape of the entire casing is designed without the comfort of a wind tunnel. Now we will try the bike in these conditions; We want to be ready on time. Can you quantify the cost delta operation Dakar? 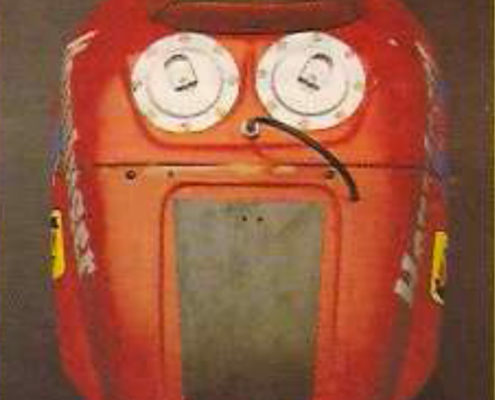 You will be also present in the next Dakar? "Definitely Yes. 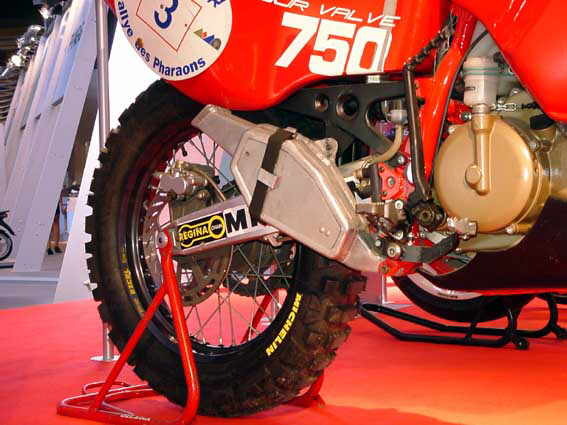 The conditions encountered in the Paris-Dakar is practically unrepeatable, both instrumentally both under normal measurement conditions of motorcycle. With the African race we can verify many parts of production motorcycle» though next Gilera RC doesn't compete more in Silhouette. We will build a prototype with a capacity close to 650 CC though probably the reliability cannot be guaranteed one hundred percent». Meanwhile, Louis or Luigino: Luigino is my first name. 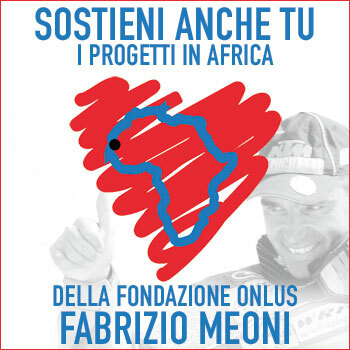 You started in regularity where you won several six days per team, a European Championship and several Italian titles, then you decided to go to the world of rallying, why this choice? 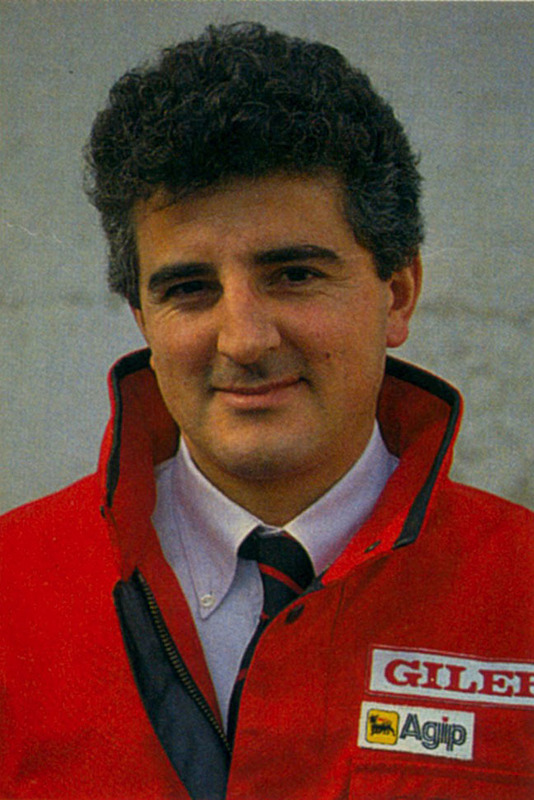 On the occasion of "six days of San Pellegrino of 86" I was contacted by Daniele Papi, the then manager of Yamaha Belgarda which asked me if I was going to do some rallying. I said immediately to you, the attraction for Africa I had as a child and being able to see riding a motorcycle which was my great passion was the crowning of a beautiful dream. 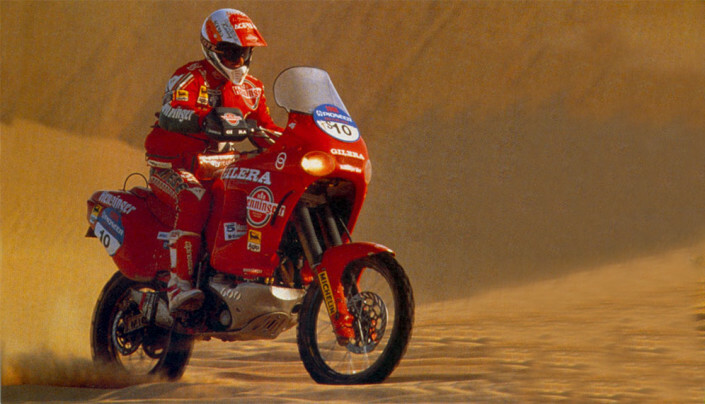 I started the adventure committing myself for Tunisia rally, Morocco, Pharaohs and the Dakar, the same races that I faced in 87. 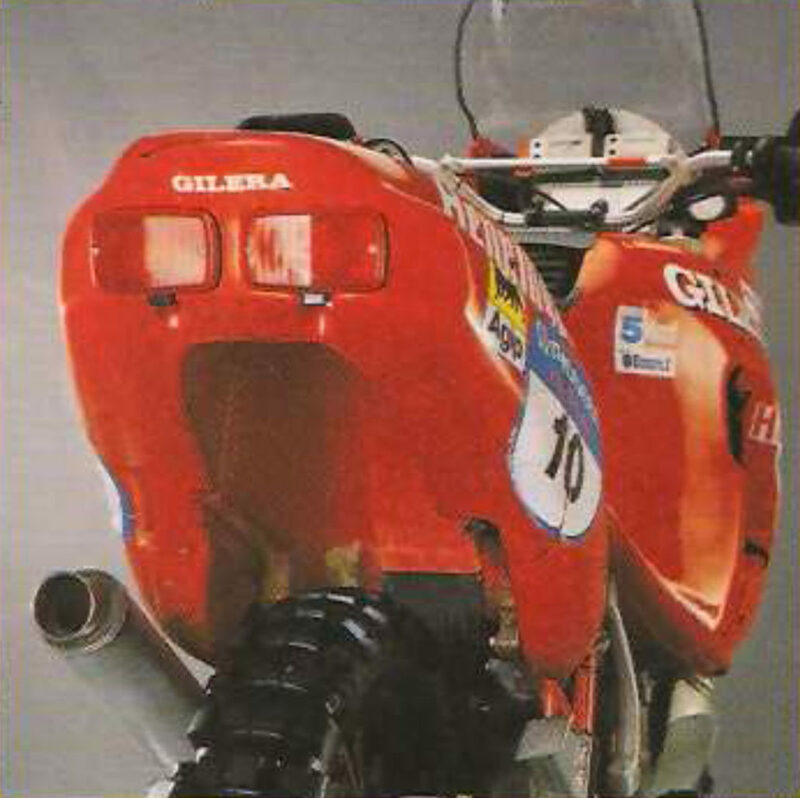 In the ' 90 brought to debut the Gilera getting in two years good positions 8th and 7th overall, running in class silhouette. What was acting not compete in this class? 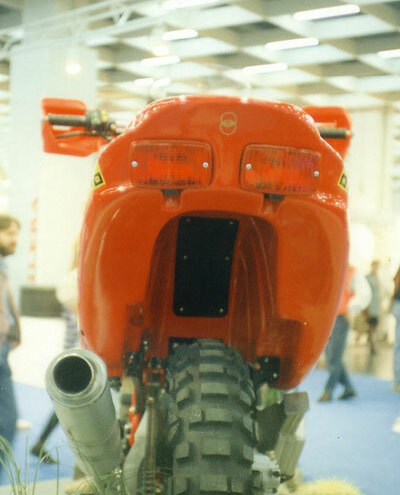 There were 3 categories, the series, where you couldn't change anything to the bike, the silhouette, where they were to remain the standard chassis and engine, While the rest could be replaced, for example the drains and tanks but not the wheels, Finally the class prototypes where the bike was built in pilot measure and the type of race and in the event you have a maximum of 3 spare engines and could change anything, with the exception of the frame. 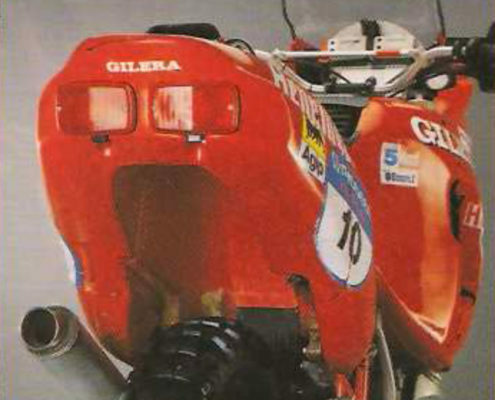 I went to Gilera because Yamaha was not the team for me, i.e., When I was called to run, the team already existed and had Franco Picco as reference driver. He was from the cross and I the regularity, two different driving styles, motorcycles in Japan were tested by him and when they came here to run were not suited to my riding style. So I suffered so much, I was hurt and in the end I decided to leave the Yamaha. I wanted to prove myself to be able to do something good even in rallying and thus arose a bet. I met with Gianni Perini (Gilera) at the salone in Milan and I told him about my project and fired the spark. 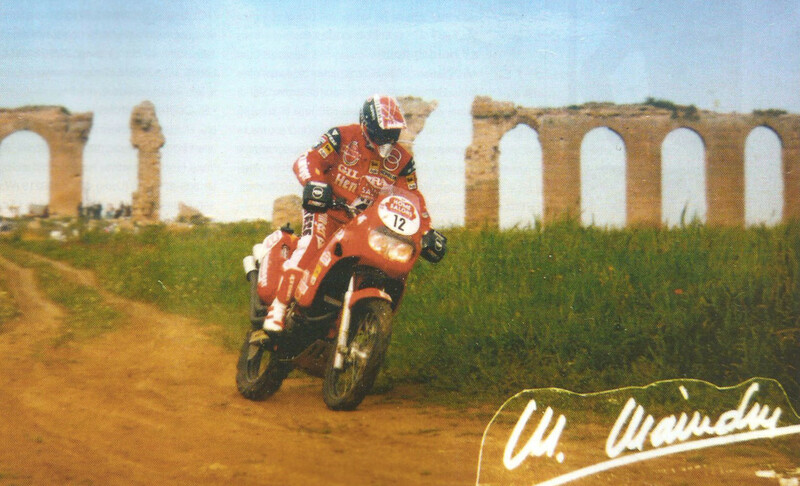 Starting from the base of the bike which already ran in cross country, We started the development and we presented ourselves at the rally of Tunisia. The results were not egregious, but the project had already started and we drove by participating in the Pharaohs and further to Dakar. 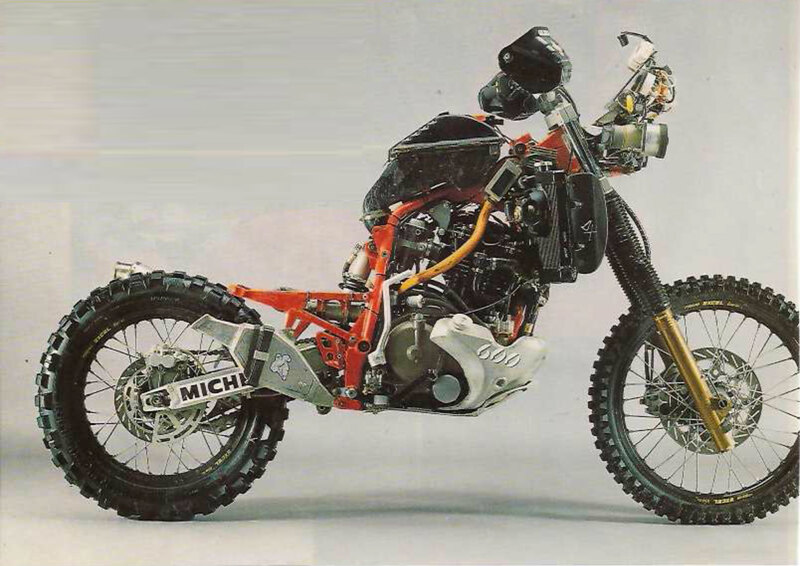 The following year, always in Dakar, We obtained 3 stage wins with our bike from 600 CC against the most powerful prototype class. Great results but many personal satisfaction, How to arrive in this moto Gilera and there was practically nothing, start with the mechanics to build it for me, following my directives. Anything I asked, It was answered, even the tanks were shaped by the stylist on the print of my leg! 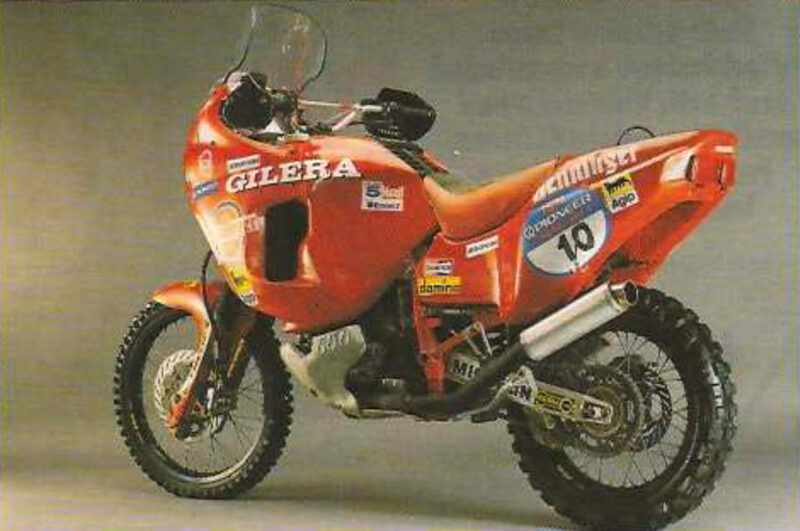 Then came the prototype, the RC 750 and everyone thought it was the year good to see an Italian bike with an Italian pilot in command of the Dakar. Instead what happened? The prototype was built in record time and we debuted at the rally of Tunisia with a win. Meanwhile reached the peak and also team, the Pharaohs I retired to a glitch on my bike. 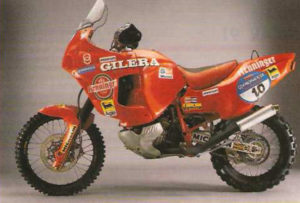 Peak instead, After the retirement of De Petri through injury he won the rally. 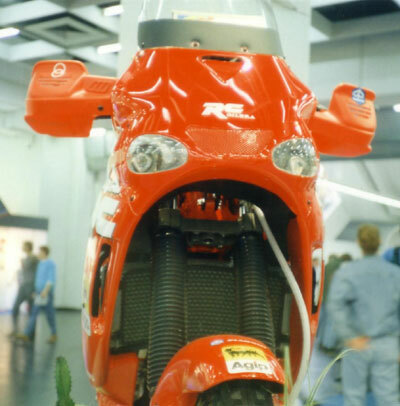 All presaged that the direction taken in the development of motorcycle, was the right one. We left for Dakar believe we can do great things, but unfortunately Spike got hurt after a few stages and I had to retire due to a technical problem the clutch, a defect never encountered previously in tests. 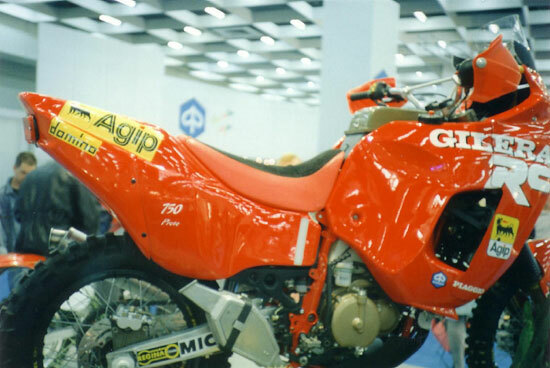 The following year, all official teams, Cagiva, Gilera, Honda etc.. due to the economic crisis, the resulting drop in sales and interest for this type of motorcycles, decided to withdraw from competition. Then I had 32 years and I didn't have the tenacity to start again with a new team. I decided to abandon the races. It was a mistake because then came KTM bringing new energy and interest in this type of competition and if I had stayed as did Mahmoud, most likely I might have had some other satisfaction. Franco Picco's arrival on the team created rivalry? Are leave them both with the same chances or there was a top driver? No there was no rivalry and both were leaving with the same chances. 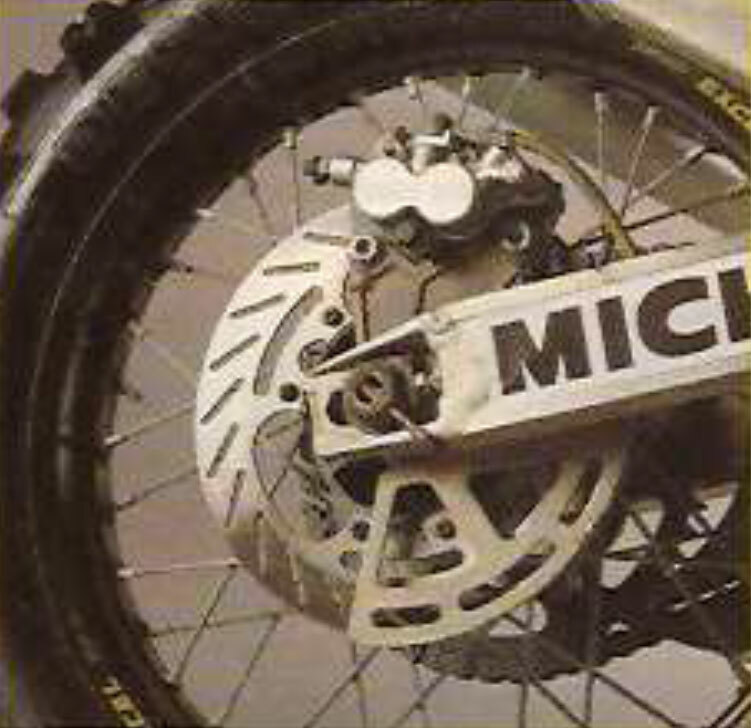 My problem with him was just a technical question, already in Yamaha wanted a motorcycle other than that I could use I or grease that was on the team with us, He had a way to fine tune the bikes that were in my opinion too extreme, Motocross bike, with calibrations harsh and difficult to drive. He eventually, When we were about to leave for the race continued to work on settings. Try to sitemare the bike on the field for me was something impossible to play. Only this was our discord, nothing personal. 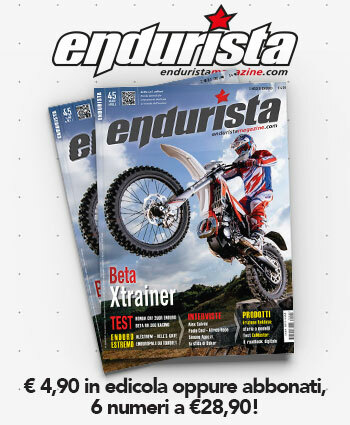 Gilera in the deal were clear, the tests and adjustments on my bike I used them exclusively I. 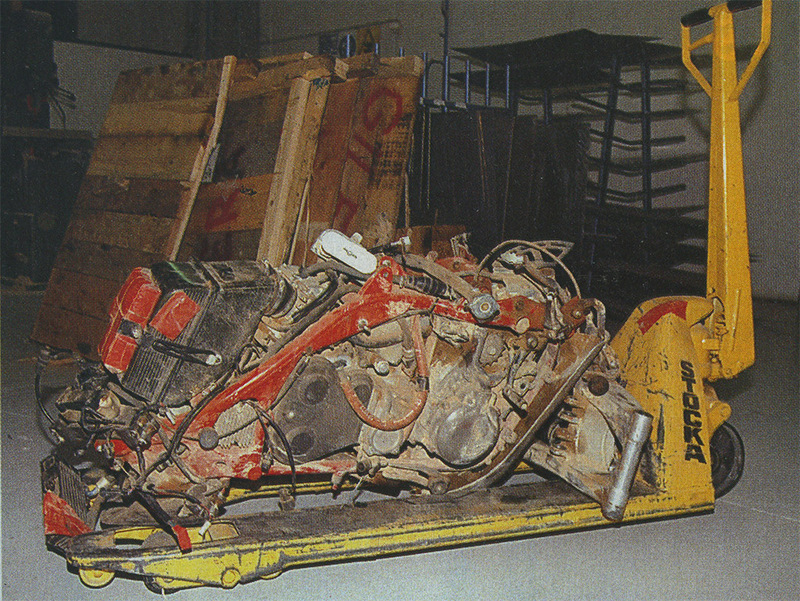 We all know that in the regularity they used to hide behind some bushes in case of failure and replace the damaged parts, with the moto "Shadow". 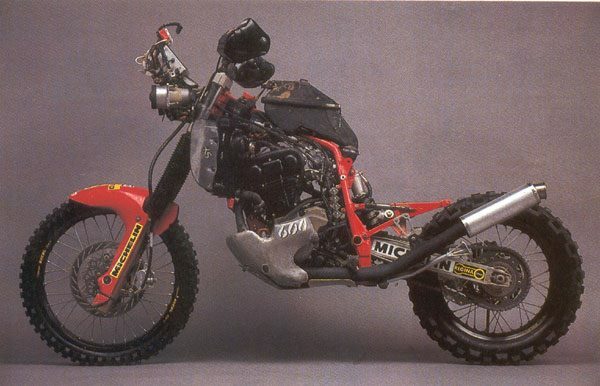 During a marathon stage I broke the pipe that carried oil from the mono shock to the tank and the next day I would have had great difficulty to finish the stage and keep top spot. Let's say we made team play! Service parts and trucks were not allowed to download the bike was in Parc Ferme. That night did I recover healthy cushion and entrusted to a friend journalist that the next morning would come down along the route to do its work. We agreed and left me at a certain point in the route. The next day at the start of the stage with the other riders there we visit the place indicated and we replaced the mono even as the Organization's helicopter was landing for a control. Sotterrammo quickly the parts damaged in the sand and not finding it there left continue the race. 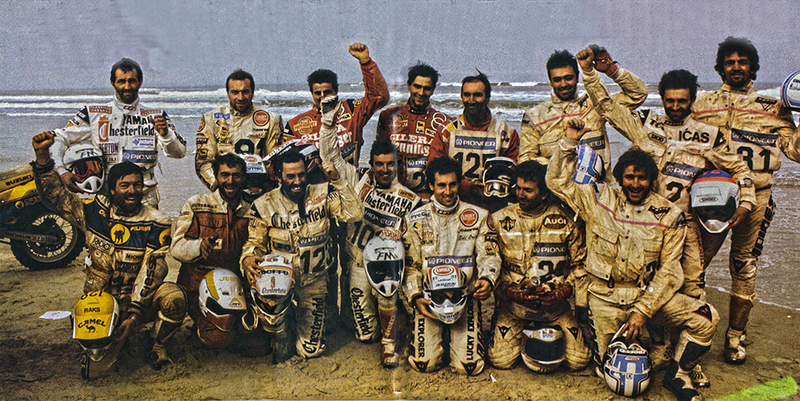 What has changed since the Paris Dakar then to new Dakar in South America? 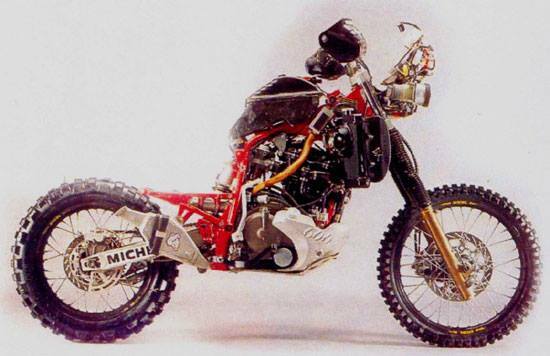 I think now the Dakar is a competition a little more human, more feasible. 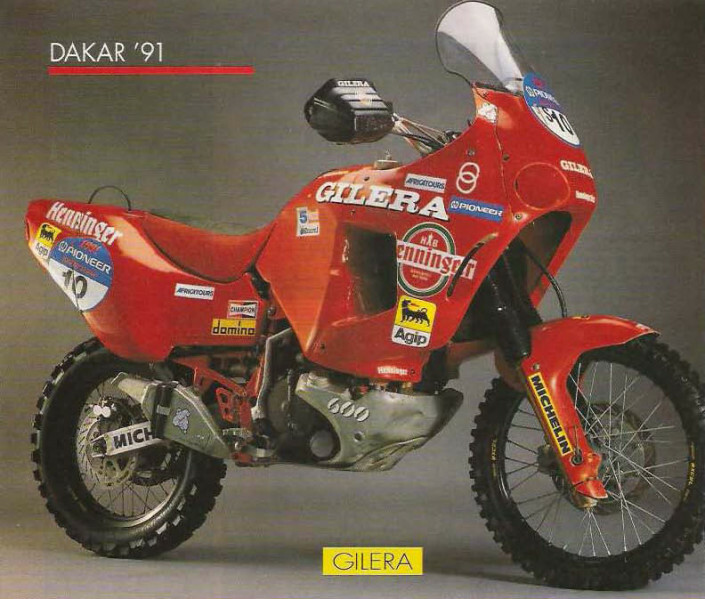 The first Dakar that I attended was 17.000 Km 18 days with one day of rest, practically 1.000 km per day. If then one day it did 800, does that mean that later were at least 1.200. Using bike very fast the risk was very high and accidents during those years there were so many. 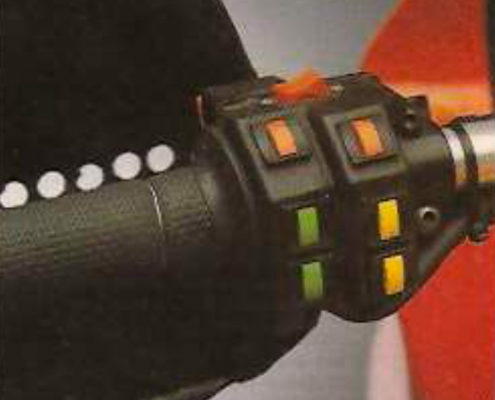 Another important aspect is that the first Dakar that I attended was the hand compass and it wasn't that simple to navigate and orient themselves. Although in the stages we left all together in the desert, After a few km there was lost to sight because everyone would choose its own course and after 20/30 km were alone. Then as we got closer to the finish line we were beginning to see the horizon far splotches that slowly converge toward the same point. It was just an adventure! We know you've been in the field, What do you do? Work for Scott bikes and Scott bike as an agent for the Triveneto. You have two things in my heart that I would like to say. The first is that the brothers Fernandez, When I got from them at 15 years welcomed me like a child. I slept in the room with one of their sons like one of the family. This is an important reminder that I will have forever in the heart. 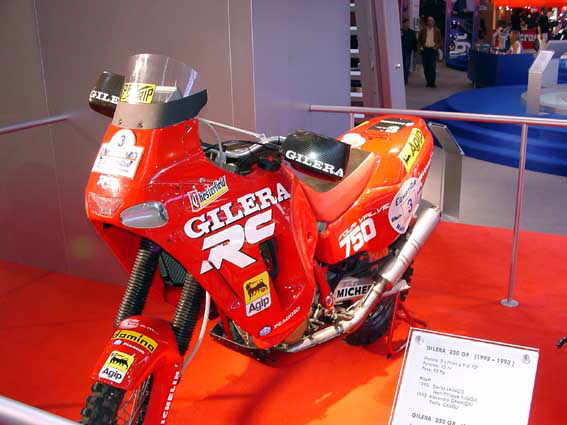 The other is a special thanks to Gilera, to the team and to all those who were part of, especially Silvano Galbusera who was my trusted mechanic and crew chief of the team, and who is now with Valentino Rossi moto GP. The robust racing jacket protectors are comfortable especially after arrival. The back of Luigino Medardo is sorely tested by a storm of friendly Pats, a whirlwind of congratulations that overwhelms him leaving him breathless. Thanks to him the Gilera won again in category silhouette, won a stage win to Tumu and one in marathon Agadez-Gao. 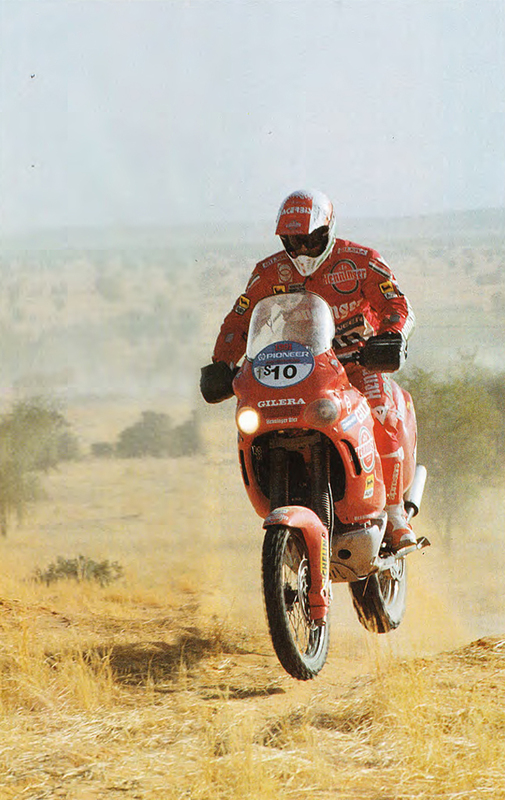 But mostly he struggled for almost the entire race with prototypes, custom built motorcycles for Dakar and weight well over 558 cc of his RC 600, change, except in some special. More than a victory, a triumph. It's not a question of parochialism: the all-Italian match doesn't miss a beat, much success in silhouette isn't even an argument. But this time Liam and his teammate Mandelli have outdone themselves. The seventh place overall in punta, for an hour and a half behind the winner, is more than you could hope for. But he disagrees. "To tell you the truth we wanted to get into the top five — protest smiling — and I think we could do it, It was within our grasp. However we should March always regularly, without problems. 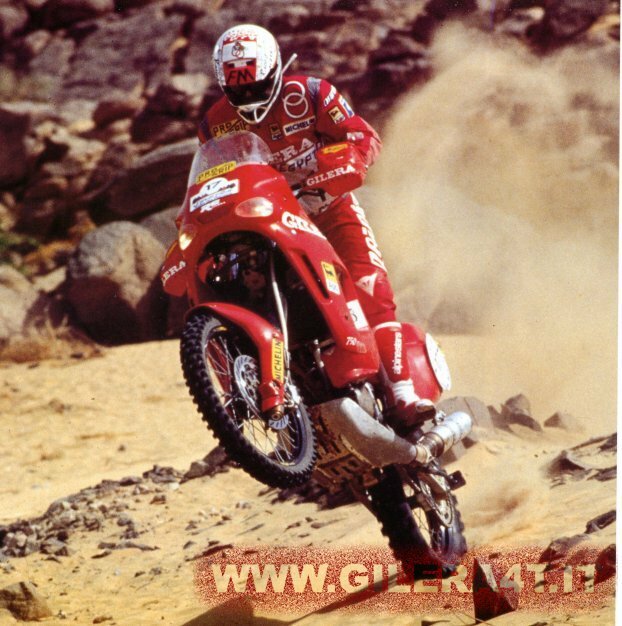 Instead I broke the shock in the final part of the stage Ghadames-hydro, and since it was a marathon I could not change it that next day, on the runway, losing an hour. In Dirkou, Instead, discharged battery: a stupid inconvenience which cost me half an hour, because the bike would not hear of rekindling after refueling. 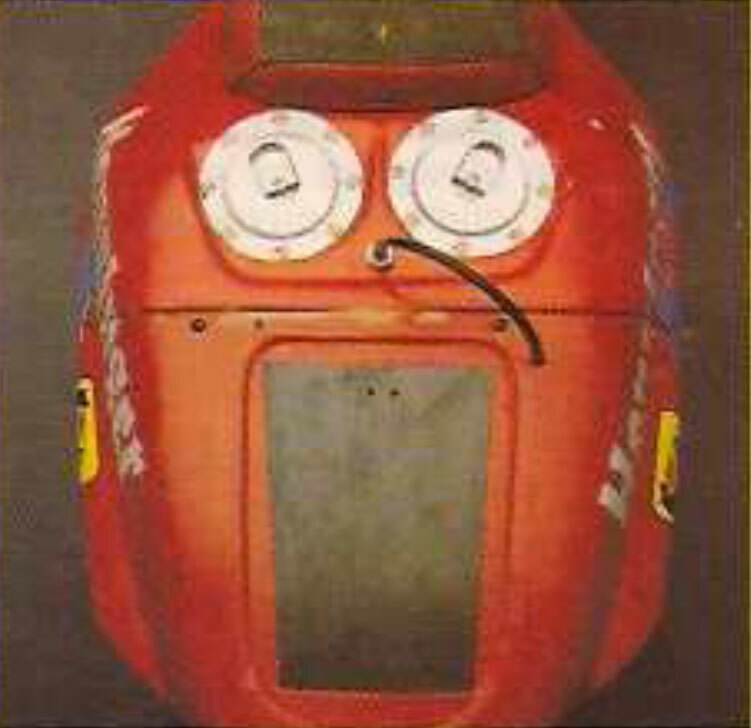 Are trivialities, that occurred because we didn't have much time to work on the bike. But overall it was better than good». Of this you can be sure. Very few times the blood type Gianni Perini, team manager, had reason to fret about the delays of his men. A fortune, given the intensity with which it lives the events of his bike, despair and exulting as if he were in the saddle. When Ghat, After just a couple of days, He saw that none of his three men came, he risked heart attacks. 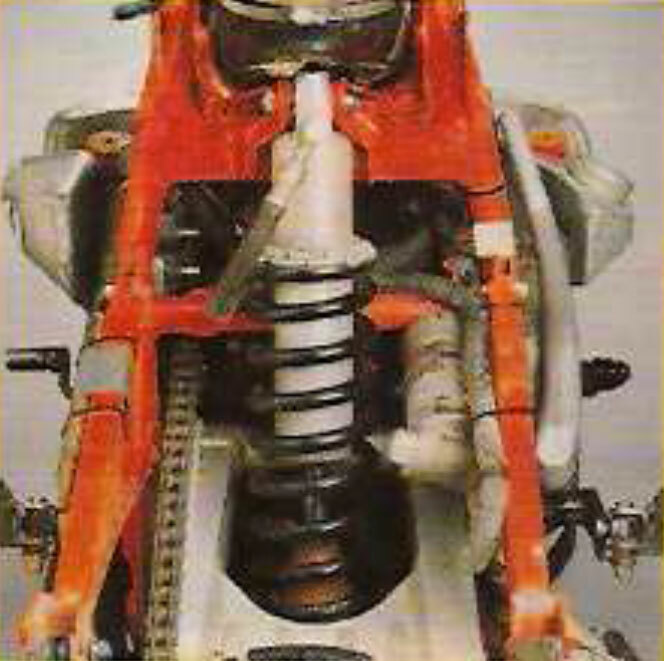 Instead they had stopped Assembly to replace the shock broken by Medardo with that left along the bike by a car out of the race. A cunning out regulation not ready the service truck, Since it had not been possible to remedy the trouble the night being a marathon stage, those in which it is prohibited to assistance at the bivouac. Despite the fear passed, the best memory of Medardo is related just to the marathon. "They are very difficult, just a nothing to blow this. But for me the best memory of this Dakar is precisely the marathon Agadez-Gao, where I won the overall rankings of the two days. Were two tough stages, very difficult. I have done everything perfectly, and I won. An enormous satisfaction». 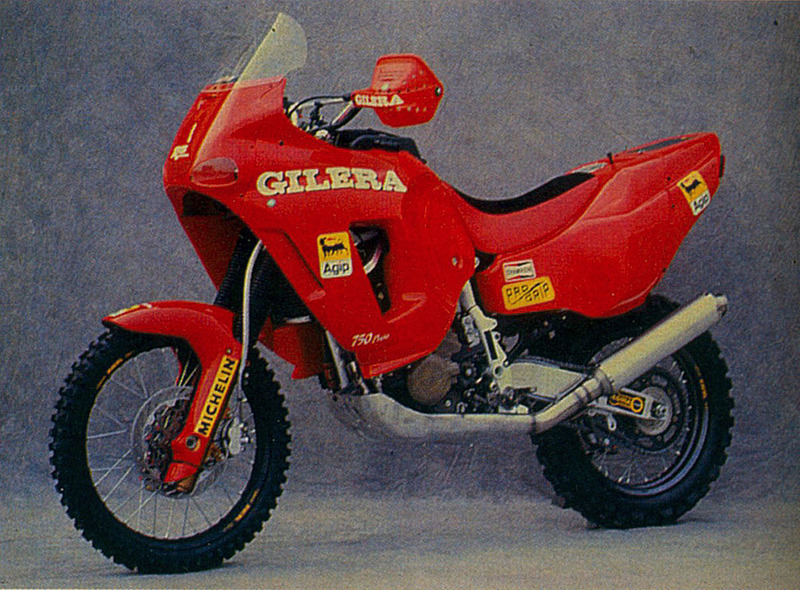 One of the many stages now, Since Medardo and Gilera continue to monopolize the category. If they dominate, though, It's not for lack of opponents. 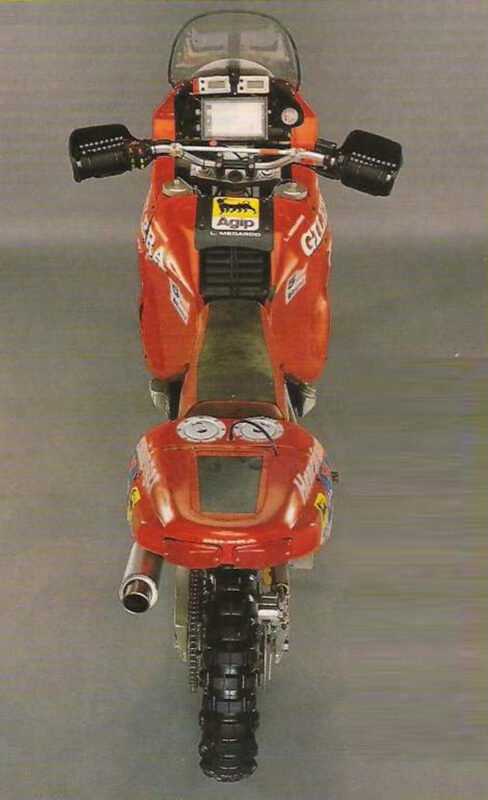 «The Cagiva tried to run a motorcycle in silhouette at the Rally of the Pharaohs, but he declined to repeat the experiment at Dakar. Even the Suzuki tried in our category, and he did it not, as well as Honda Europe with Africa Twin. I think we want a bike, but very competitive to beat the Gilera. There were hardened pilots, Yet we have fought several times with prototypes». Medardo humble, pretends to forget himself. You need to call it directly concerned to have his opinion. "The pilot? It's already pretty old, with 31 years and several Paris-Dakar on the shoulders. Not just a young man to beat». The question now arises in opposite direction: is Medardo that will have to go to beat the others, given that next year's Gilera debut amongst the prototypes. "I think there will be still even in silhouette, but I'll be on the prototype. I know it will be a difficult undertaking, but I'm going to win: otherwise I wouldn't have ambitions. A pilot must always have a clearly defined goal especially in these races so tough. Otherwise you will not find the strength to go on». If there's one thing that has never been lacking is the determination Medardo, the will to arrive at all costs. He succeeded last year with a sore leg to a distortion, He did it again, with one hand swollen from a fall. 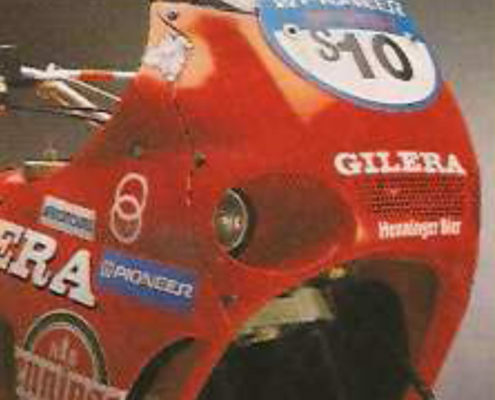 The performance of the Gilera amazed at such a point that they were unnecessary requests scrutineering. 1° cat Silhouette and 7th overall, M n 9°. 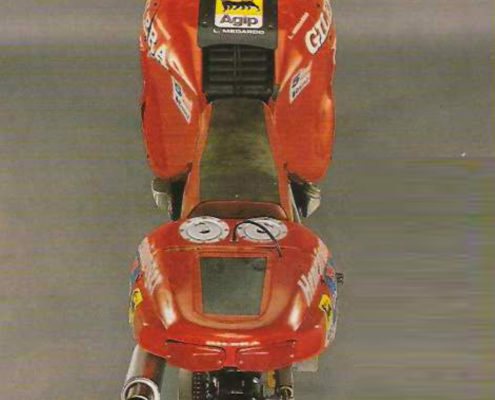 Presented in 1989, the Gilera RC 600 comes with single-cylinder engine 569 CC, delivered 48 CV to 7.250 RPM, and had double four valve controlled by a rubber timing belt, the monolithic tree with biella in Hat, liquid cooling and electric ignition digital and single cradle frame. 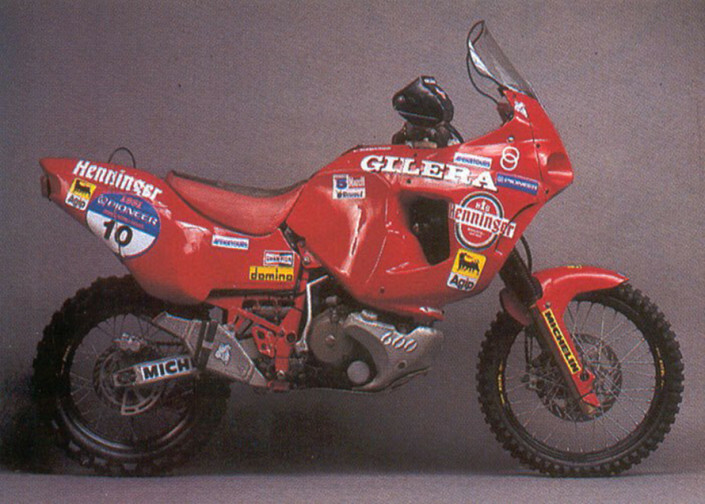 The Paris Dakar 1991 the pilots, Luigi Medardo and Roberto Mandelli they classified 7° and 9° in General!